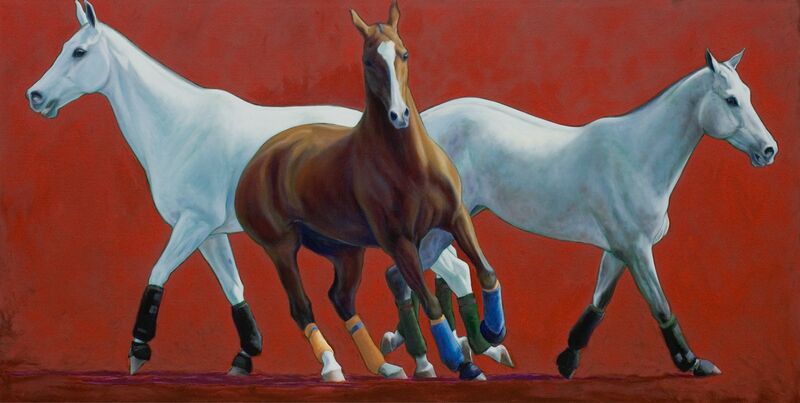 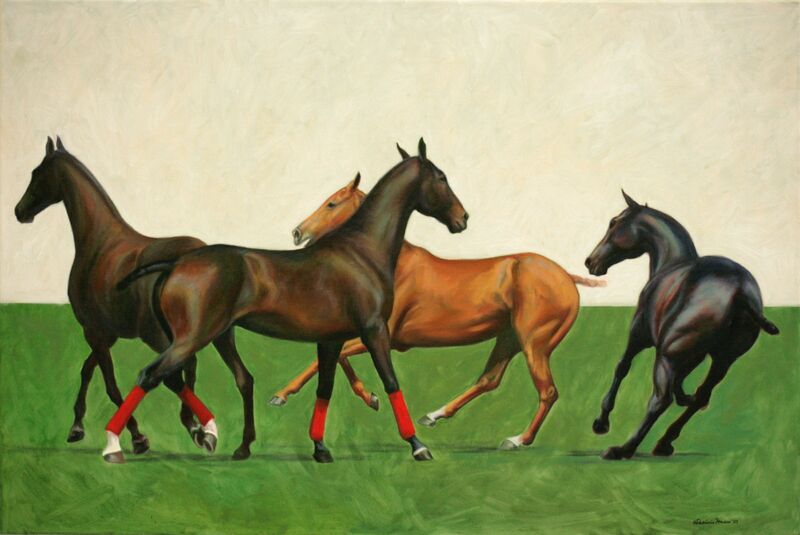 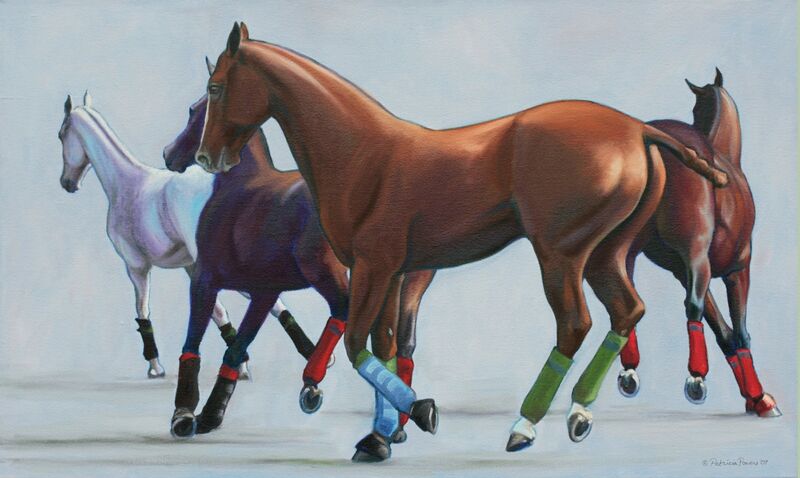 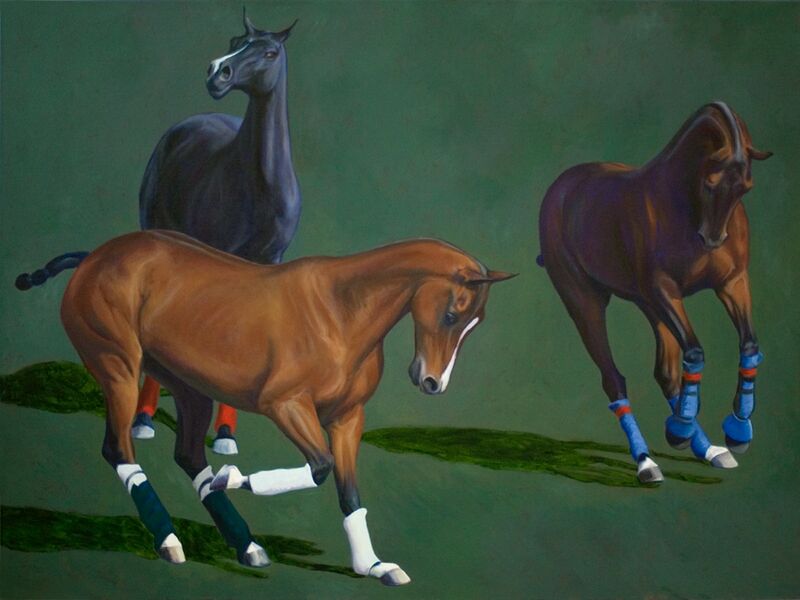 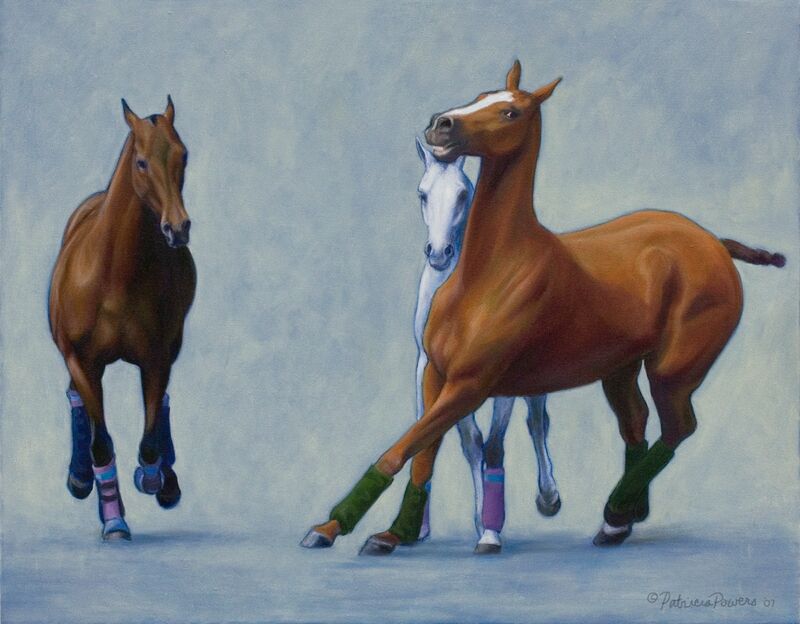 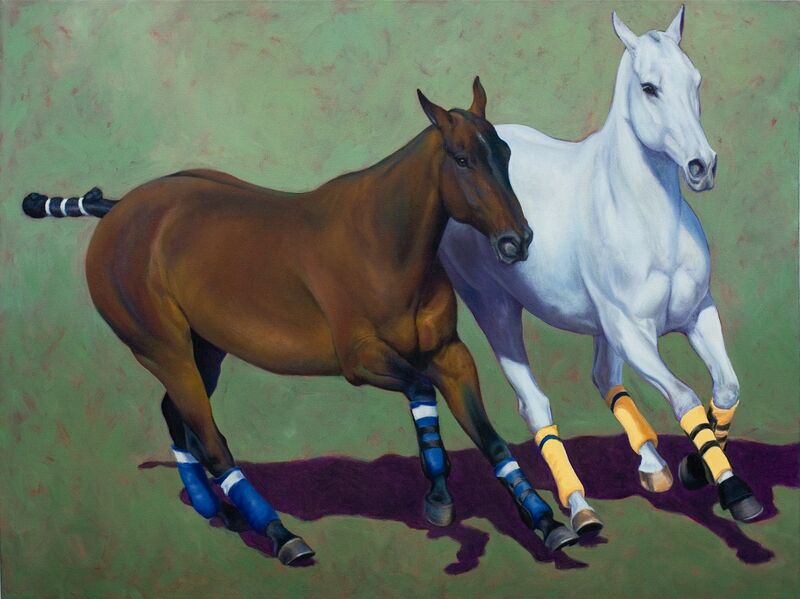 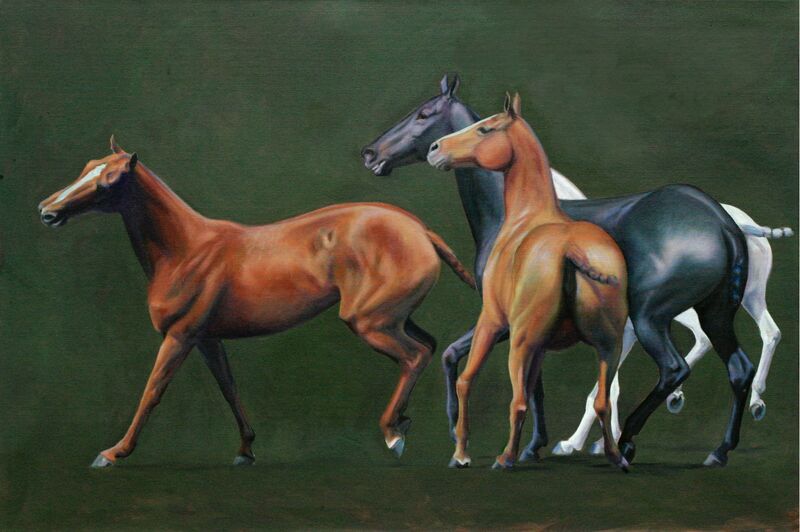 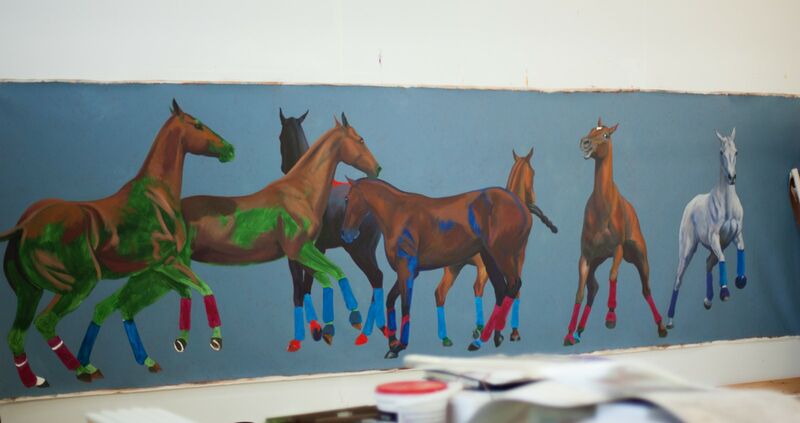 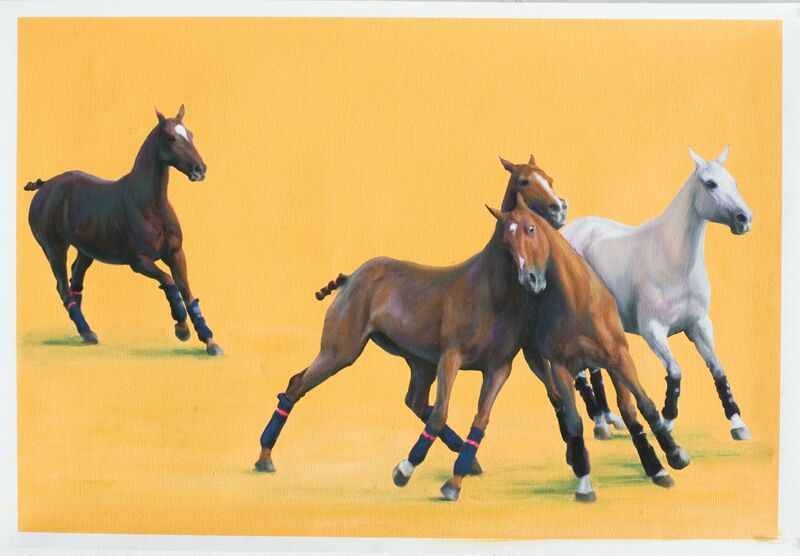 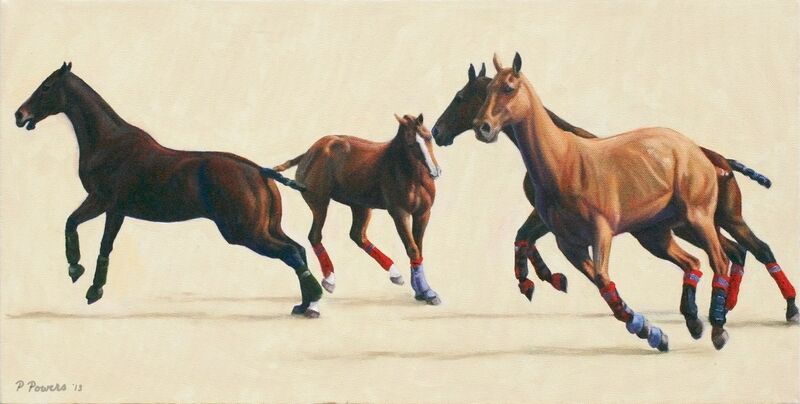 These paintings came from seeing high level polo for the first time in Palm Beach. 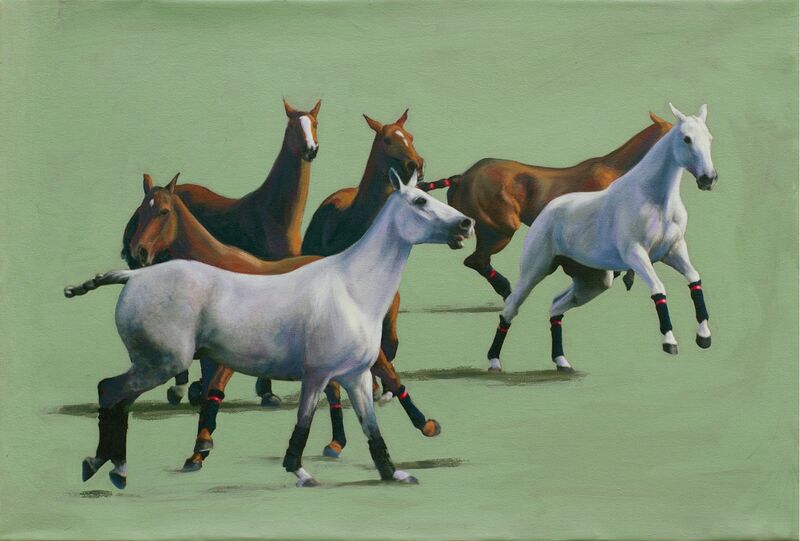 It seemed that these were paintings of medieval battle scenes come to life; if all but the horses were removed from an historical fresco they would be so like this, all angles and unbalanced chaos. 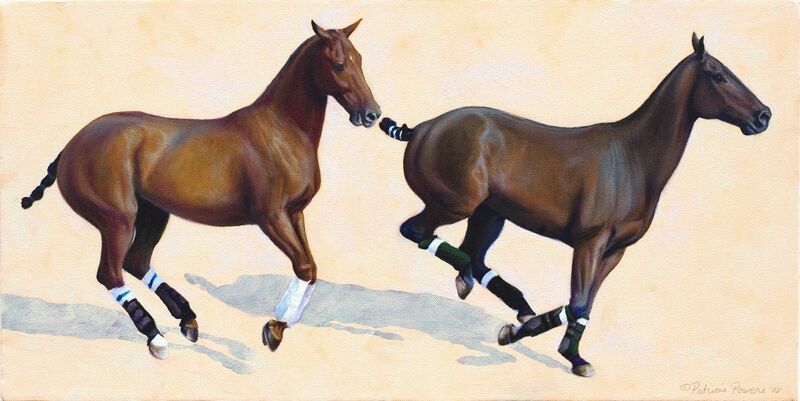 After many years of watching the sculpted predictability of dressage, this was the antithesis of what I was used to. 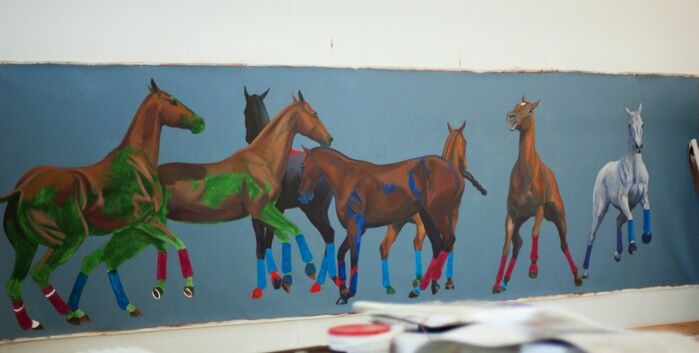 I hope someday to do large scale murals of these, and some of the long panels are studies for such murals.